The Room is by no means a visual masterpiece, but the budget managed to reach well into the millions. A large part of the unbelievably high price tag was Tommy's insistence on buying not one but two sets of camera equipment. He shot simultaneously in both 35mm film and high-definition video. 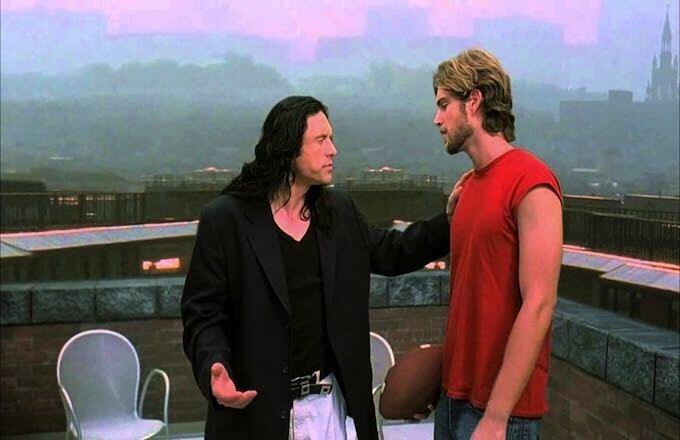 Wiseau also decided to build sets that easily could've been shot on location; all of the rooftop scenes were bafflingly shot outdoors on a green screen. He's notoriously tight-lipped about the source of his cash flow, insisting that he financed the movie entirely by importing and selling Korean leather jackets.